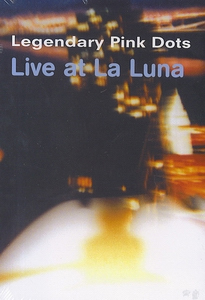 The Legendary Pink Dots, "Live at La Luna"
Recorded on September 13, 1997 at La Luna, Portland USA. Originally released only in North American format (NTSC), although the LPDs had 100 copies specially made in European format (PAL) for sale via mail order. In early 1999, a PAL edition was commercially released.